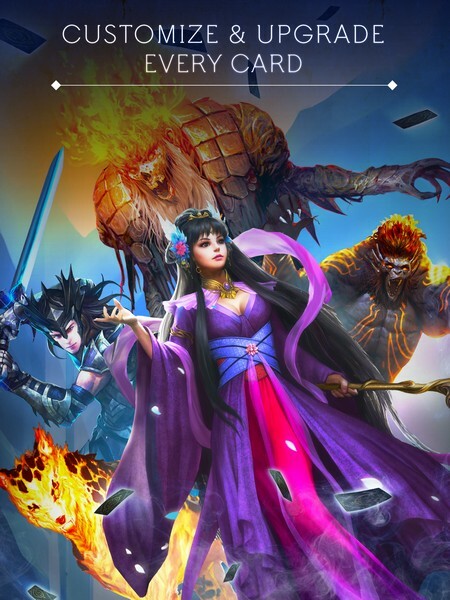 Deckstorm: Duel of Guardians is a free-to-play mobile CCG developed by DeNA Corp. for iOS and Android. In Deckstorm: Duel of Guardians you can become a Provenant of Ravia, one who is in charge of upholding the tradition of fueling the Sacred Spire with power to ensure that the Cycle of Ages continues, but now that greed has fractured the Provenants' priorities it is your job to take control of the chaos by capturing rogue Guardians. Can you preserve the Cycle of Ages and avoid the looming greed consuming the other Provenants? 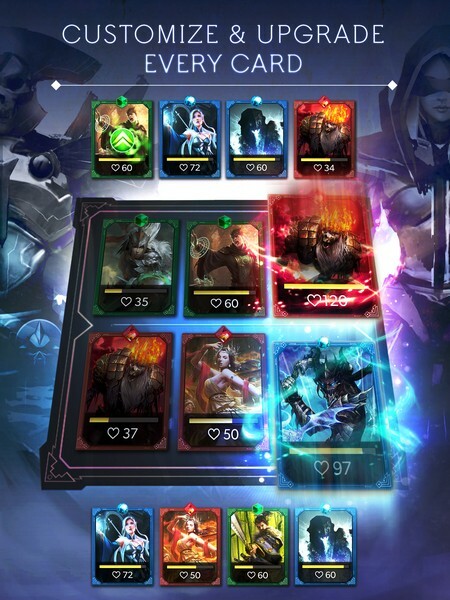 Deck Management: Before matches you'll be able to manage your deck, customizing your deck to your liking with cards from one of 12 different possible classes. Card Upgrades: Upgrade your cards in 7 different ways like spell upgrades and card evolutions so you can keep making your deck as strong as it can possibly be. 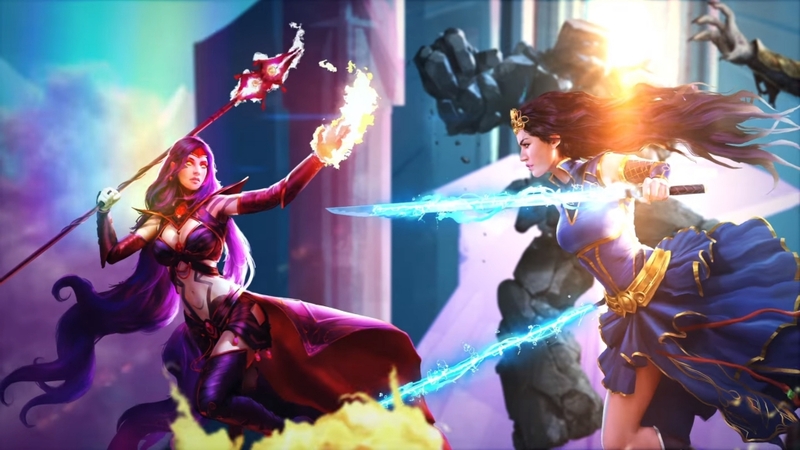 Arena PvP: Take to the Arena and battle other players from all around the world to prove how much of a tactician you truly are. 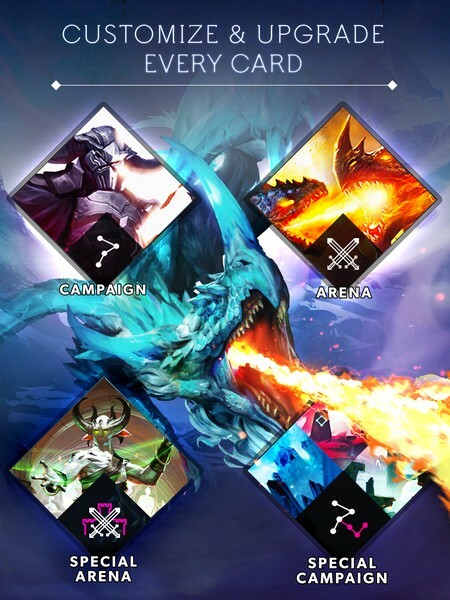 Mobile-Friendly Matches: Matches only last about 5 minutes so you won't be committed to your phone for too an excessively long match, but you can still enjoy a heated tactical battle! 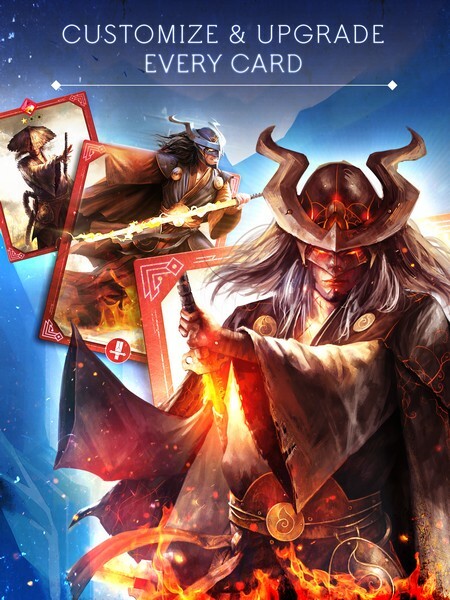 A mobile card game inspired by "War", the old card game, we have five minute PVP battles! 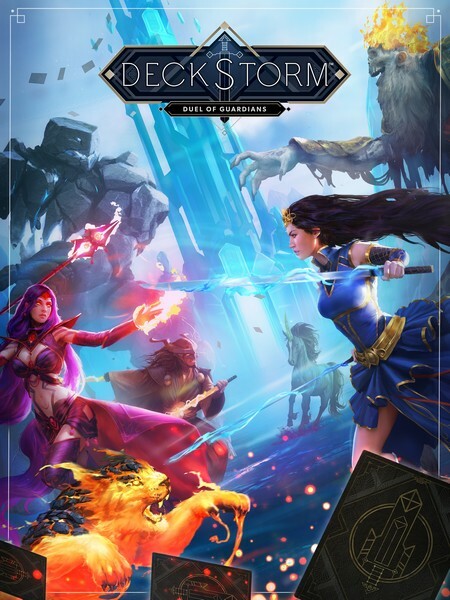 Every single move counts in Deckstorm: Duel of Guardians!